I’m Michelle and I love that you took the time to stop by! 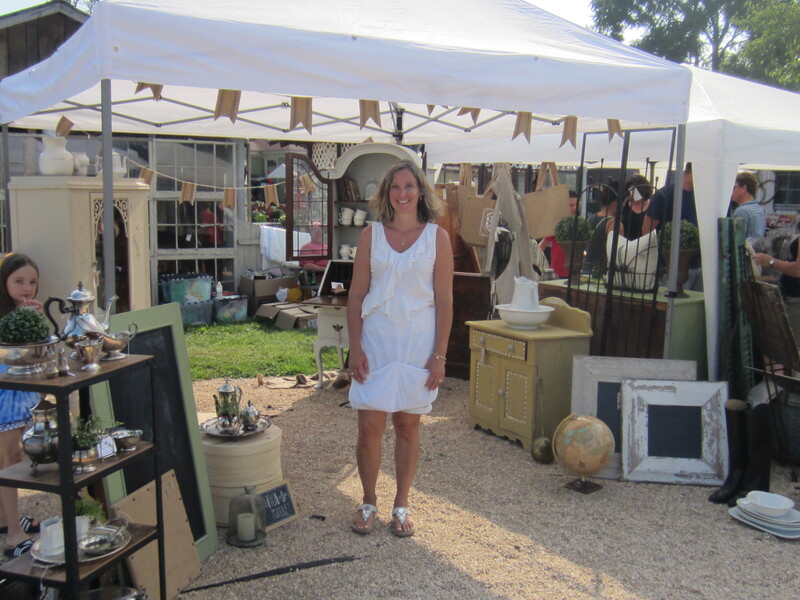 I’ve fairly recently started blogging about our home, my shop in Sweet Clover Barn in Maryland and other happenings around here. I left my career in broadcasting in 1999 to stay home and raise my first child. I was in love with our new baby and with the freedom that staying at home brought me. These years were a gift – time to feed into the lives of three beautiful children and time to pursue some of my other passions. My ultimate passion is my love for Christ, followed by my love of family, but my need to be creative is something that was innate in me since childhood. As a young child, I was always humming or singing. I loved getting a new record and reading the lyrics as I listened to the music – I was mesmerized by how the music and words could connect to touch and lift a soul. I have continued singing throughout my adult life and have begun to do a little song writing too. But I have had other creative pursuits in addition to music. I remember joining the home economics club (I know pretty nerdy) in middle school with my best friend. We would sew all sorts of little projects. My Nana taught me how to knit in high school and that is also when I began cooking dinner for my parents who both worked. I would pour over cookbooks and create a delicious menu. When I was a child we lived in a gorgeous town in upstate New York, rich in natural beauty and rich in history. I think growing up in such surroundings and with a “Martha Stewart” type Mom, I might add, gave me a tasteful eye for design. I loved decorating our first home, but had to learn to incorporate hand me downs into the design to stretch our budget. As the years went by and we could spend a little more, I still preferred to save money and work with what we had. This mind set sent me on the journey I am on today. In 2013, I was hosting a wedding shower for a friend’s daughter and realized a hand me down wing chair in our family room needed an update. I googled instructions on making a slipcover and completed the project with success. Two weeks before the shower, I decided the to tackle the two couches as well, much to my husband’s chagrin. I was hooked. My passion for decorating was reawakened just about the time that all my kids were in school full time and I was feeling like I needed to pursue a career again. 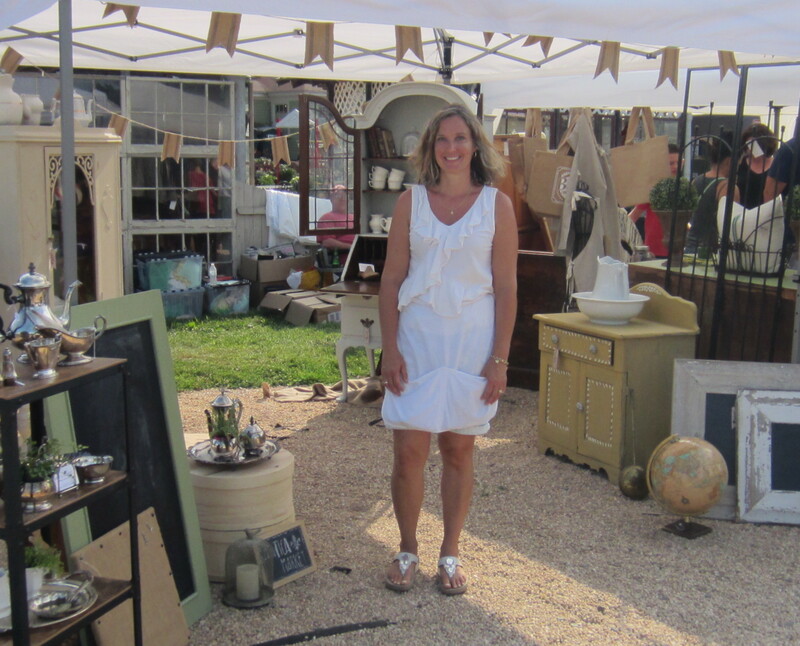 In 2014, I began curating a collection of antiques, ironstone, silver and vintage furniture and had an opportunity to sell those finds at a couple of antique flea markets in Lucketts, Va. 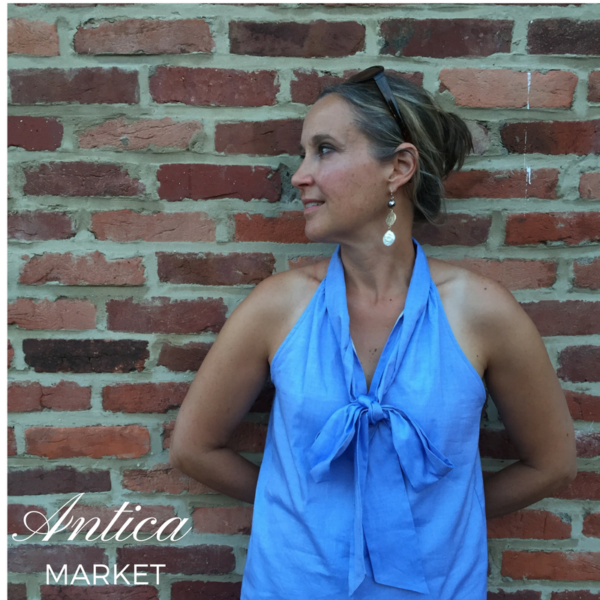 I loved the process so much that in 2015 I established my fledgling business – Antica Market – and opened my Etsy shop http://www.etsy.com/shop/anticamarket– and my brick and mortar shop at Sweet Clover Barn in Frederick, MD, http://www.facebook.com/sweetcloverbarn. And of course my latest creative endeavor – blogging.